Gain Industry Recognition for Your Skill Set. 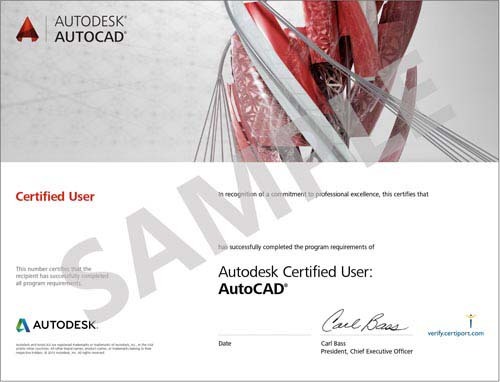 Demonstrate your Expertise in the Latest Autodesk Technology. Improve Your Performance and Add Value to Your Company. Gain Confidence and Peer Recognition. Earn a Portable Credential for Job Retention and Mobility. Become Part of an Elite Team of Professionals. Align with an Industry Leader. Choose the Level of Certification that is Right for You. The Tests are Performance Based.